Account Cloning at Online Casinos – Don’t Do It! NHL + William Hill = Legal Sportsbooks in Canada? Will Online Sportsbooks Take to the Cloud? Multi-Tasking Slots Kiosks the Next Big Thing in Casinos? Throughout history, keno has been considered one of the more unique forms of wagering known all round the world. The original lottery game, keno history dates back thousands of years, making it one of the oldest forms of organized gambling known to mankind. The game’s roots are believed to be traceable as far back as about 220 BC, when the Qin Dynasty ruled over China. If you refer to most “legends”, they tell of the Han Dynasty‘s Cheung Leung being the man who invented Keno. Those same legends also say Keno was played to help fund the Great Wall of China. But there are discrepancies in that story. Namely, the Han Dynasty ruled from 206 BC to 220 AD, while a large portion – the most famous part of the Great Wall – was erected from 220-206 BC, when the Qin Dynasty ruled the kingdom (just before being defeated by the succeeding Han Dynasty). Money was needed to fund the war, and they couldn’t tax the people anymore than they already had. 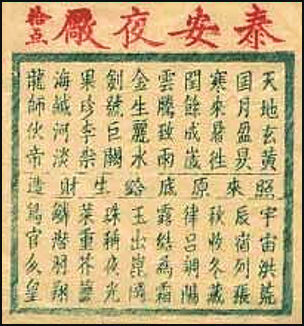 Instead, a lottery using 120 Chinese characters was designated. To ensure the first Keno game was successful, carrier pigeons were sent out to all the outlying areas across the land, telling them of the great wealth that would be awarded. As a result, countless peasants bought tickets, selecting a “lot” from the 120 Chinese characters presented. Pigeons were also used to notify communities of the winning symbols. It was immensely successful in helping the empire to fortify its army. It’s not known what name the game was identified as in those days, either. As for its current name, Keno, history tells us that was derived from the French and/or Latin language. In French, Keno means “five winning numbers”; in Latin, “five each”. When the days of dynasties came to an end, and modern day rulers took charge of China, gambling was abolished. However, it was reinstated in 1847 when the Portuguese government decided to legalize lotteries in Macau, granting licences to operators. To this day, Macau is the only city in China where gambling is legal. Over the centuries, Keno naturally made its way into Europe and North America via trade routes. Logic demands that the Chinese taught Europeans, as well as North Americans, how to play the game, based on the names by which the lottery was known. In Europe, it gained the title Keno (from the French/Latin origins described above). However, when it came to San Francisco, California around the turn of the 20th century, it was simply called the “Chinese Lottery”. It received a few alterations at that time, as well. Americans could not read or differentiate the Chinese symbols, deciding it would be best to use English numbers instead. They also reduced the amount of numbers from 120 to 80. 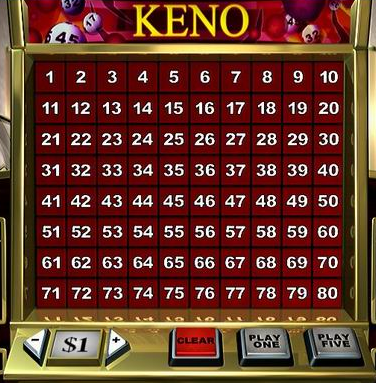 Keno was an instant hit in the western world, and Las Vegas was eager to bring it to the casinos. However, lottery games were one form of gambling that was not legal in Nevada. Thus the casinos changed the name from ‘Chinese Lottery’ to ‘Racehorse Keno’, hoping to deceive state lawmakers into thinking it was a racing game, and it worked. 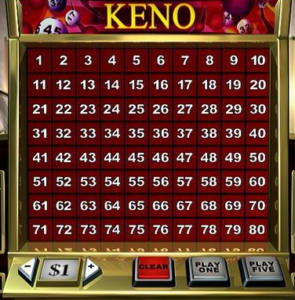 Today, Keno is played in casinos all over the world, and is even available for real money play at online casinos for desktop, mobile and tablet devices. We can’t close out the history of Keno without discussing the most famous story of the last few decades. A scandalous CA-$600,000 win occurred at Casino de Montreal in April of 1994. The winner, Daniel Corriveau, was accused of somehow cheating when he matched 19 of the 20 numbers. Corriveau claimed that he’d used a computer program, based on chaos theory, to find a pattern in the numbers. After an investigation, he was awarded the winnings when it was discovered that the casino was actually at fault. The Keno game in question was using an antiquated psuedorandom number generator that was reset each day with the same seeding of numbers, making it rather easy to predict. Get your $1200 bonus now! Royal Vegas is going overboard in terms of generosity and free money offers this month ! Join this trusted brand and make your safe deposit today. Did DraftKings, FanDuel make the Wrong Bet on DFS? Blackjack Games are All the Same, Right? Wrong!